We are closely involved in the cultural and artistic life in Belgium. Promoting art and culture is seen as an essential part of our involvement towards the community. Our partnerships in this field are primarily with the Queen Elisabeth Competition, La Monnaie, BOZAR, Flagey, the Festival of Flanders and Culture at the Cinema. We also sponsor three Belgian contemporary art museums. These partnerships aim to make culture more accessible to wider audiences with special emphasis on the younger generation. They also enable us to invite customers and business relations to participate in our varied event-based hospitality programme. 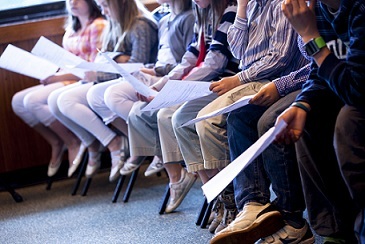 Every year BNP Paribas Fortis invites 600 young guests to attend the semi-finals of the Queen Elisabeth competition (which feature the twenty-four best candidates) in twelve groups of fifty. Before the concert they receive a short introduction from a professional musician. We are very proud to sponsor this prestigious event every year, thus demonstrating our support for musical expression. This competition is open to young virtuosi of all nationalities. It focuses in successive years on piano, singing and violin. In addition, every two years, young composers are invited to create contemporary works, which are then performed by the virtuoso finalists. As part of this partnership, we arrange for one or more prize-winners each year to give private concerts for our clients. On that occasion, attendants are being offered an exclusive CD featuring the best passages from the semi-finals and the final of the selected candidate – including Evgeni Bozhanov (Bulgaria) Andrey Baranov (Russia), Boris Giltburg (Israel) and Thomas Blondelle (Belgium). This makes a nice gift for business contacts and extra impetus in launching the young artists’ international careers. We also want to bring this high-standing cultural event within reach of a wide audience with a special focus on youth. 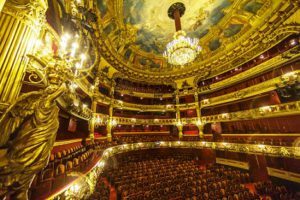 We have been associated with La Monnaie, an opera house of international repute, since 1982. The aim is to share with a variety of audiences our common passion for lyrical and choreographed works – opera, theatre, modern dance, concerts and recitals. In addition to providing support to the opera house, we regularly invite clients and other contacts to come and enjoy some of the most outstanding works with us. We are also the sole partner of GO!PERA, an initiative under which people aged under 30 enjoy various benefits, including a 30% reduction on the ticket price for performances at La Monnaie / De Munt. Actions like A Night at the Opera, Campus Opera and Education through the arts also help to open up an otherwise too expensive and remote world of experience for young people. We are proud to be a long-term partner of the Centre for Fine Arts (BOZAR) in Brussels. BOZAR offers a broad, multifarious range of happenings, including art exhibitions, festivals, concerts, films and conferences. BOZAR has a clear policy of encouraging as wide an audience as possible – including families with children and young people – to come and enjoy these artistic events. Another important aspect is human contact: BOZAR arranges sessions where the audience have the chance to meet artists, composers, actors and directors. Every year a million visitors flock to BOZAR from all over Belgium, from neighbouring countries and – for some of the exhibitions – from other continents. BOZAR has a high reputation on the international scene, putting on art exhibitions and festivals in conjunction with partners from abroad. Many exhibitions put on at BOZAR also make the journey to galleries and venues in Paris, London, Milan, and as far afield as New York City, Istanbul, Mexico City and Beijing. This partnership enables us to offer our customers and other stakeholders a unique experience by sharing visits to exhibitions and business seats, hosting social events, etc. In this way, we offered around 20,000 free tickets for exhibitions like As sweets as it gets by the Belgian artist Michaël Borremans and Sensation and Sensuality. Rubens and his legacy. We also offer tickets for children from disadvantaged families as part of the BOZAR’s Family Day which takes place each year in April. 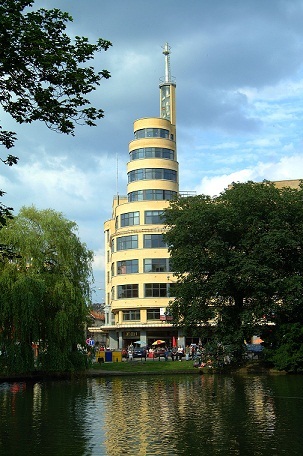 In 2013, the Flagey Cultural Centre in Brussels celebrated its 75th anniversary. Quite a long pedigree. But that doesn’t mean Flagey has lost any of its verve and sparkle. The programme is extremely varied, featuring music of many different kinds – classical, modern, jazz, ‘world music’ – plus movie screenings and cultural events. In partnering with Flagey, our aim is to bring music of all kinds and other types of high-quality entertainment to a wide audience under a single roof. BNP Paribas Fortis clients enjoy a 30% reduction on the entry price (*). Throughout the year, Flagey puts on specially-designated Nice Price by BNP Paribas Fortis events, where all comers, including non-customers, enjoy very special prices. Popular events include Anima, the Brussels Festival of Animated Drawing and Animated Film, and Shanti! Shanti! performances. 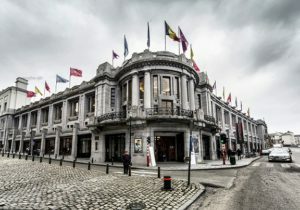 Flagey also hosts the first round and the semi-finals of the Queen Elisabeth Competition, productions from La Monnaie and part of the Festival of Flanders in Brussels / Klara Festival. The Festival of Flanders is a major music festival made up of various events at different venues. As BNP Paribas, we support community projects linked to these events. One of them is Shanti! Shanti!, a choir made up of boys and girls aged from 7 to 13 from diverse ethnic and social backgrounds. In several languages, their light tones enliven a range of events from local fêtes to staged concerts and open festivals. Volunteers from BNP Paribas staff taking people with poor sight on tandem bicycles to open-air concerts as part of a wonderful ride through Ghent’s port area. The various community initiatives run as part of the Ghent Festival of Flanders come under a single banner: Care to Share. The Care to Share programme comprises a variety of projects and aims to make sure the festival really is for everyone. Underprivileged children, music-lovers with impaired vision, residents in homes for the elderly, patients in hospital… they all have the chance to enjoy one or several concerts. Last but not least, in addition to BNP Paribas providing financial support, staff members are also involved as volunteers. We have forged a unique partnership with cinema chain Kinepolis on an exciting initiative to bring performances from some of the most prestigious concert halls and theatres in the world to the cinema screen. Thanks to the Culture at the Cinema programme, moviegoers can sit in comfort and enjoy great performances relayed live from such venues as the New York Metropolitan Opera and Moscow’s Bolshoi Theatre. The Culture at the Cinema programme features two types of performance: opera and ballet. 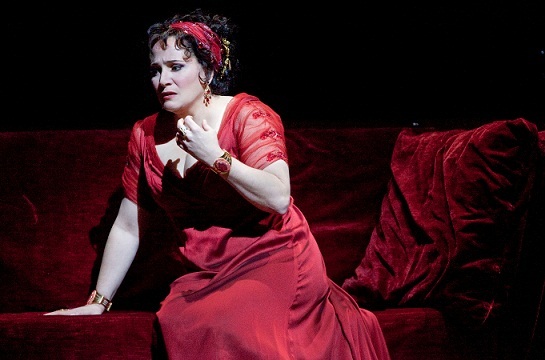 Opera at the Cinema – Outstanding operas shown in high definition on the big screen, relayed from live matinée performances at the New York Metropolitan Opera. Ballet at the Cinema – Outstanding ballet performances filmed live at the Bolshoi Theatre in Moscow and screened in high definition at Kinepolis. 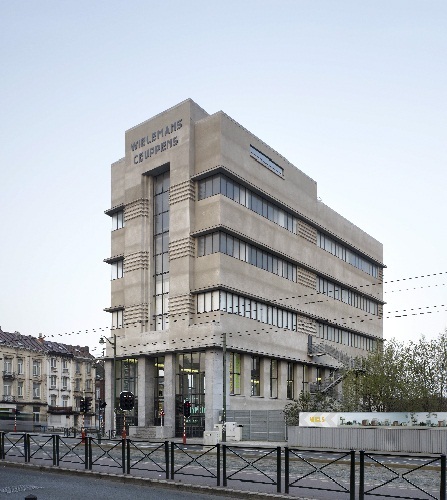 In 2011 BNP Paribas Fortis signed partnership agreements with the Dhondt-Dhaenens Museum at Deurle, the MAC’s (Museum of Contemporary Art) at Grand-Hornu, and WIELS, Centre for Contemporary Art in Brussels. Through this collaboration initiative, we help to provide contemporary artists with the support they deserve. 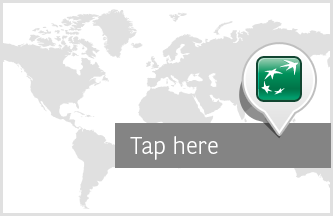 The initiative fits perfectly with BNP Paribas’ multicultural vision and committed attitude.